First Prize Jules Janlet 2004 for the Clinique Saint-Jean project in Brussels, awarded by the Haute Ecole ISla Gembloux. 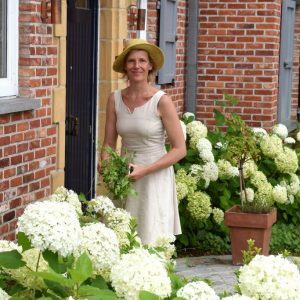 For twenty five years Nathalie Devallée has designed and created gardens and landscapes. Innovative while emphasising craftsmanship and skills, Nathalie offers solutions to architects, companies, developers, homeowners and apartment dwellers. Nathalie Devallée upholds a style, the 21st century garden, and maintains a reputation, that of delivering a high quality finished product. Gardens, parks, terraces, patios: private landscapes we enjoy both viewing and living. Private landscapes, large or small, to which we devote our time, money and imagination. These spaces represent the juxtaposition of dreams and reality. Nathalie Devallée bridges these spaces combining ideas and sound budgets, ensuring your dreams become truly green investments.